If you are looking for a career in the construction industry there is a good chance you’re trying to go for something that’s a bit above the typical pay grade. Sure, manual labor is nice, but wouldn’t it be nicer to settle into a career that can sustain you for the rest of your life? We certainly think so! A job in construction management is a great way to achieve that, but you need to know what it entails and what you’re going to be doing on a day to day basis. It can be a challenging career path but don’t worry – it’s pretty rewarding. Oversee Projects – All projects have a start date and a completion date. 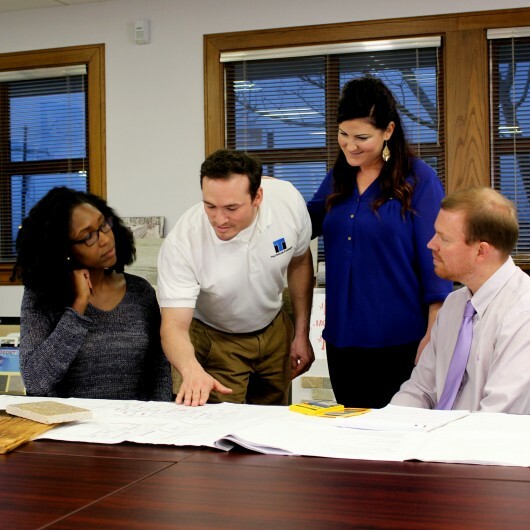 As the construction manager, it will be your responsibility to make sure that you’re properly dealing with all of the details that occur between those two points. This includes dealing with employees, ordering materials, delegating tasks, and most importantly, communicating with the client. Compliance – You may or may not be aware, but every single state in the US has federal and state guidelines to comply to. These guidelines will help to ensure worker safety and ultimately guarantee that the project is properly completed. In addition to that, compliance will help to ensure that the completed project remains standing long after completion. Coordination with Subcontractors – At our construction management school in Baton Rouge you are going to learn to deal with a wide variety of subcontractors. 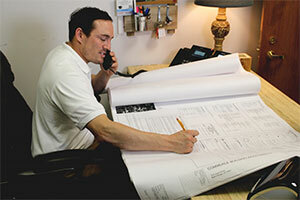 The contractors you speak to will often depend on the project. For example, if you have outsourced the wiring of the electrical system to an outside company you will need to work with them, and the same goes for any other systems that you might need to install. Tool Selection – Every job is different and every job will require a different set of tools. It will be up to you to determine what is needed for the job and if you need to pick anything else up along the way. Meet Performance Standards – Depending on the type of company you end up working for, you may be expected to meet certain progress milestones before you the bank will cut a check for your payment. You need to make sure that everyone is on task and able to meet those milestones, especially if you want to get paid at some point. Plan Ahead – You’re going to need to make sure you’re planning ahead for any emergencies and issues that might arise. You never know what might happen in the construction industry, so be prepared! Obtain Licenses – Finally, you will be expected to discuss contracts and licenses, making sure that all of the paperwork is in order before you really begin on a project. Our construction project management program will teach you the above skills and help to ensure that you are ready to take the industry head on. In addition to having these skills, however, you’re going to need to make sure that you can work with people. This will not only be a big part of the job, it will be absolutely essential when you are working with clients. We have the ability to provide you with not only the practical knowledge but also the hands-on experience you need to enter the industry and begin advancing your career. Construction management is definitely a rewarding career, and it won’t be too long before you’re handling your own projects. Give us a call today and get ready to start your life with our Construction Management Program. If you are working on a larger project, you may work hand in hand with another construction manager to get the job completed on time. When you enroll in our program, you will gain the education and experience needed to be successful in your role as a construction manager with your certification. You will need the following skills and requirements to be successful as a construction manager. Management Skills-will lead your teams while keeping them focused and motivated on the job. At ITI, you will be able to learn all of these skills and more with our construction management program. Jobs in this field will continue to grow at an average rate from now until 2020. We want you to find a job that you can make into a career so ITI Technical College offers job placement assistance. Financial aid is available for those who qualify. If you are interested in our Construction Management Program or any other courses that we offer contact one of our advisors today. Your future is waiting! We know you are anxious to get started on your new career. By pressing the button in the form on this page, I understand that ITI Technical College may call and/or text me about educational services at the phone number provided, including a wireless number, using automated technology. Your information will only be used by ITI Technical College. We do not and will not sell your information to any other party. Please note, that you are not required to provide this consent to attend our institutions.